Rosslyn's magnificent new children's playground in Ft. Myer Heights Park includes a memorial to fallen squirrels. Squirrels in Rosslyn suffered at least twelve dead in a recent poisoning attack. Squirrels in Rosslyn have also laid down their lives to provide food for hawks. 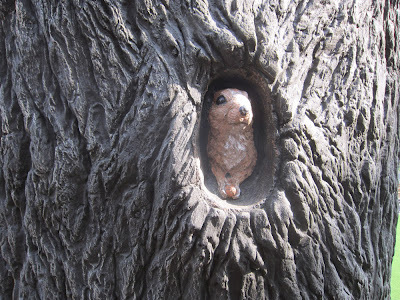 The Rosslyn Squirrel Memorial represents not just squirrels who have paid the ultimate price in Rosslyn, but also such squirrels across the U.S. and throughout history. 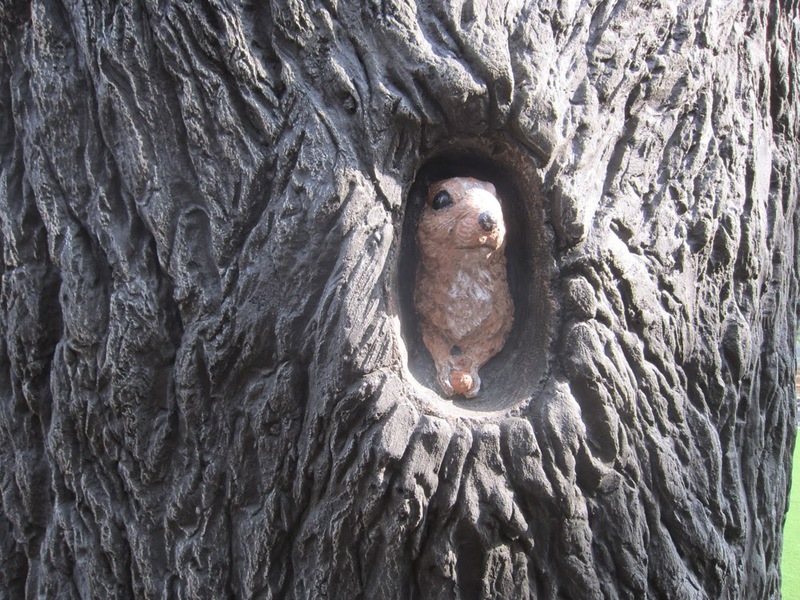 The Rosslyn Squirrel Memorial's squirrel sentinel reminds squirrels and all other living creatures to keep watch for danger.